The Belfast Historical Society will show its 1864 Civil War quilt 4-7 p.m. June 14 at Belfast Free Library. 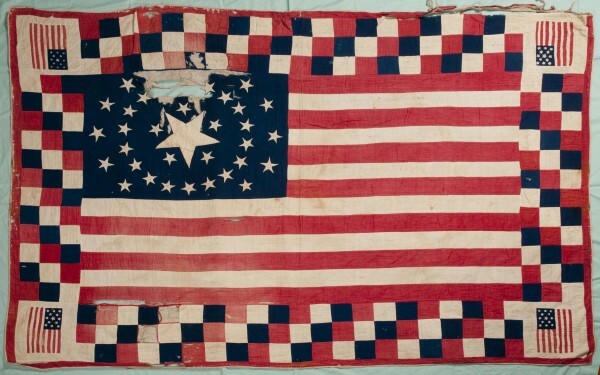 BELFAST, Maine — The Belfast Historical Society will show the 1864 Civil War soldiers flag quilt on Flag Day, 4-7 p.m. Tuesday, June 14, in the Abbott Room at the Belfast Free Library. On June 17, 1864, the Ladies Aid Society from the First Church began work on a flag bed quilt to honor those who fought to preserve the Union. In mid-July, the finished quilt was sent to the Armory Square Hospital in Washington, D.C., where it was displayed for sick and wounded soldiers. In 2011, nearly 150 years since its making, the quilt was donated to the Belfast Historical Society and Museum. Pam Weeks, quilt historian and curator at the New England Quilt Museum, will speak briefly at 6:30 p.m. about Civil War-era soldiers’ quilts.